Gopher Snakes can get pretty large in the Central Valley. The Gopher Snake was as long as my shovel and spread across the road. No amount of encouragement would get the snake to move so I lifted it out of the way with my shovel. This photo was taken at the Bitter Creek National Wildlife Refuge, California. 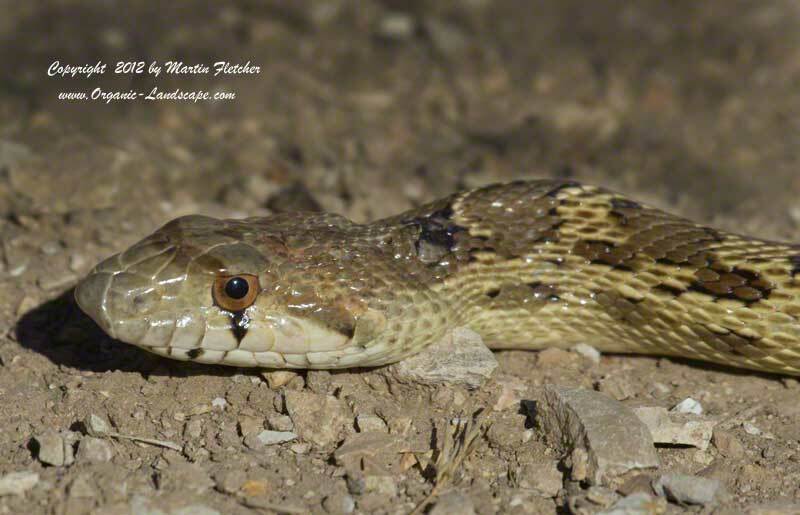 Valley Gopher Snakes are sometimes mistaken for the Western Diamondback Rattlesnake by those than aren't so familiar with snakes. Note the difference in the shape of the eye and head . . . and relief . . . no rattle.